Panic among the crypto markets. With the sudden and recent news from China, sharp declines in the Bitcoin’s price, which fell by about 20% in just one day, and even worse situation in the altcoins. Keep in mind, we have experienced this in the past (“China bans Bitcoin”), but we cannot ignore the fact that Bitcoin is on a downward trend. 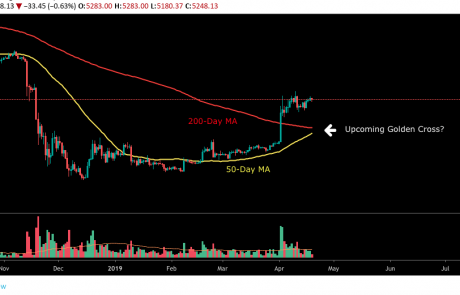 This seems to be another shake of weak hands in the short term, as we continue down, but if we look at the past, Bitcoin is heading to a healthy correction. 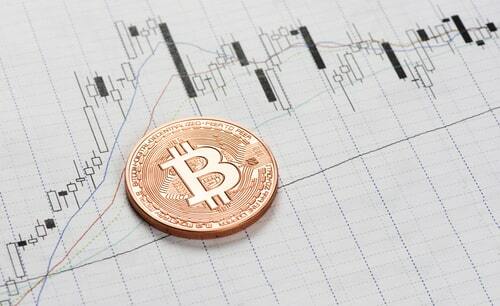 The uncertainty surrounding Bitcoin’s price is well felt in the crypto markets. Its total value dropping from $830 billion to $560 billion (at the time of writing the update). 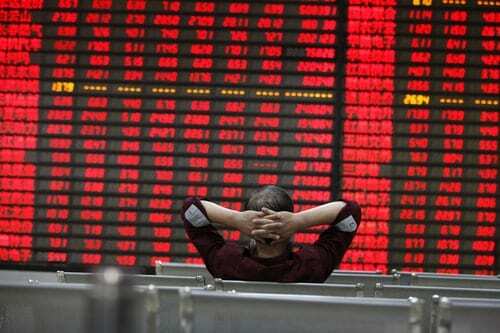 $290 billion of the market's value was erased within a week... Alongside the news from China, the holidays season may also be attributing to some of the declines this week, as this period of the year is characterized by taking profits. After a year of intense increases, it seems that in 2018 we still don’t know how much support Bitcoin will receive from the governments. 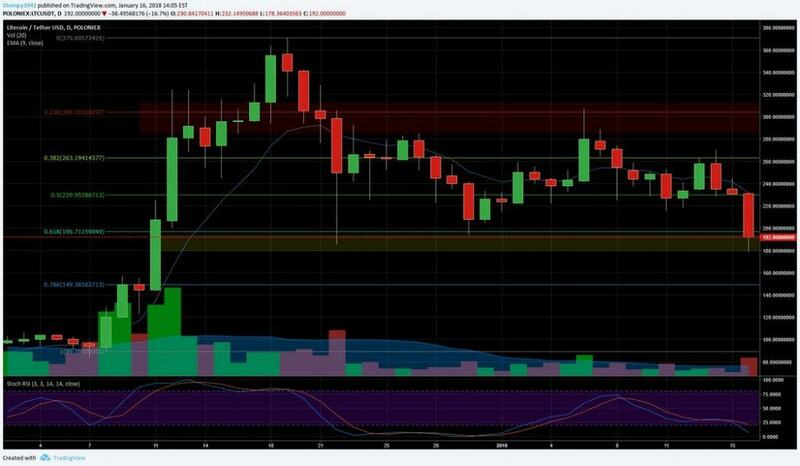 In the Altcoins Sector - despite the sharp drop, it appears that the Ethereum price still holds at around $1000. Alongside Etherium, it appears that NEO is also grappling with market volatility. 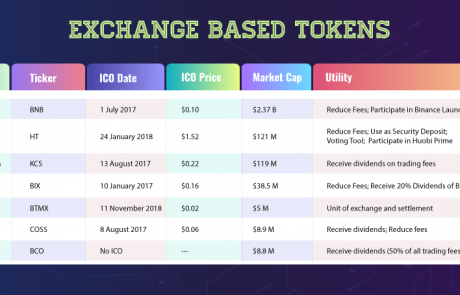 This is due to the large number of ICOs that has been created on it’s platform recently. Apparently some investors exploited the momentum of the raising funds on NEO, in order to hedge the risk and reduce the impact of the sharp fluctuations in the market. The largest Alts that sustained the most severe corrections were TRX and XRP, whose price dropped by approximately 30% during the last 24 hours. Of course, there are other Altcoins whose price has dropped at a higher percentage, but these are relatively new and not major ones. Overall, 2018 began with too much enthusiasm around the crypto market, and it seems that the market has been given a cool-down injection. 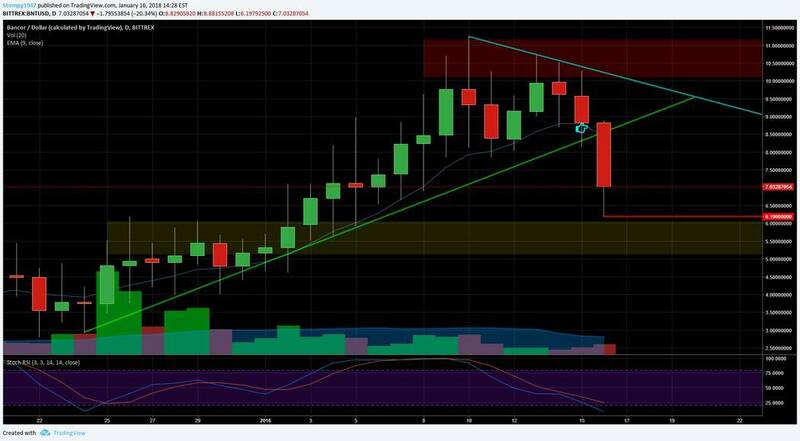 The volatility in the crypto market is not new to us, and it seems that despite the sharp declines, the crypto market is still on a long-term rising trend. Perhaps the all-time high is still ahead of us. The enthusiasm surrounding the crypto market is also reflected in the growing interest in blockchain technology. But it’s important to remember that it is only at the beginning of its revolution. In the past few years, Goldman Sachs had expressed a distinct aversion to the crypto market, yet it seems that now their minds have changed. It seems that the bank now believes in Bitcoin's chances of becoming 'real money', especially in less developed countries, such as African countries. Additionally, JP Morgan’s CEO, Jamie Dimon, is also changing his mind. Having been consistently opposed to anything related to crypto in the past year, and having even argued that employees of his bank should be fired for being involved in cryptocurrencies. The US bank, Metropolitan Bank, froze all international transactions related to crypto currencies. The bank has earned its reputation as a private broker, involved in various trading companies, among them is the crypto exchange Coinbase. The Bank has yet to respond to the announcement. Simultaneously, one of the largest banks in Sweden, Northern European bank of Nordea, announced that it would prohibit its employees from holding and trading crypto-currencies. IBM and Comcast's MState have expressed their support for blockbuster startups and have announced plans to invest $25-50,000 in six companies from the crypto field. In addition, the Amazon-owned streaming company, Twitch, has announced it would begin receiving payments in Bitcoin. This is contradictory to Microsoft's most recent announcement last week that it will not allow its customers to purchase its products for Bitcoin. Two other giant companies plan to enter the blockchain market: Telegram plans to raise $1.2 billion, which would be the largest amount ever attempted to raise in an ICO. In the framework of the ICO, Telegram intends to launch their TON currency. To explain briefly, Telegram plans to build a blockchain-based payment system that will integrate with its existing messaging service. 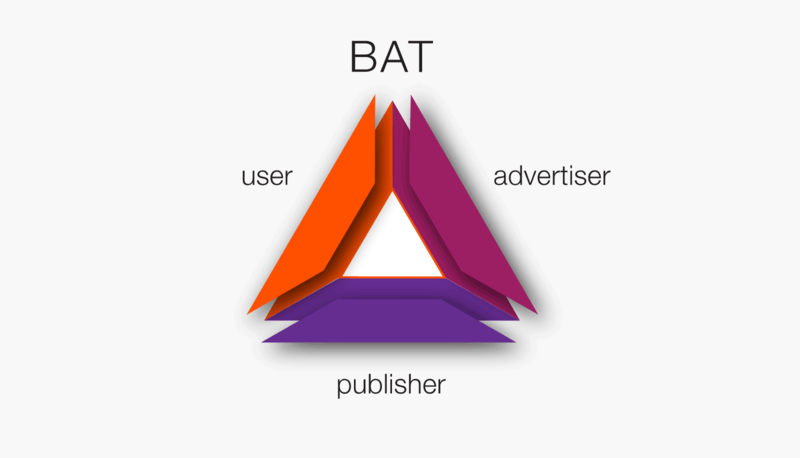 A concept similar to the Chinese Wechat, but for the global community. Along with Telegram, Eastman Kodak also announced that it plans to launch a platform based on KODAKOne which creates an encrypted, digital ledger of ownership copyrights for photographers. 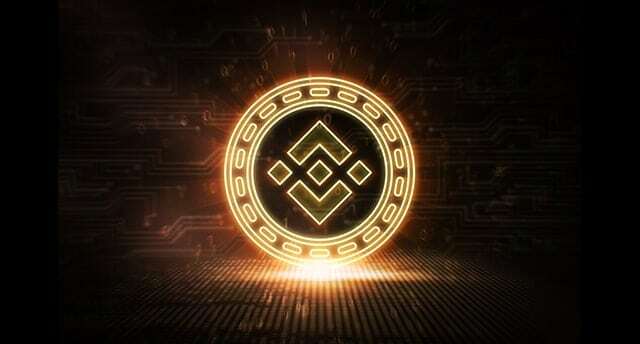 In addition to the platform, the KODAKCoin will be issued within the framework of the ICO, which is expected to be released on January 31st. In addition, the Indian mobile company, Reliance Jio, announced that it intends to launch its own crypto coin, the JioCoin. The exponential growth of the crypto market seems to be continuing. 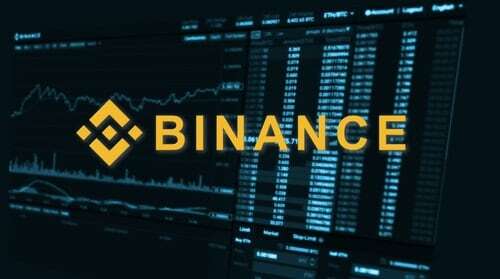 News this week show that the largest crypto market in the world, in terms of trading volume, Binance, is adding about 240,000 new users per hour (!). 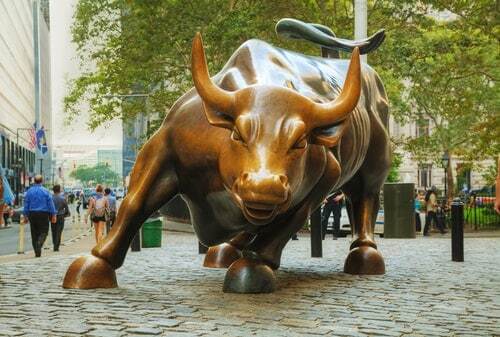 This is despite the declines we experienced in the market this week. Also, it seems that the demands of various authorities to increase transparency in the sector are beginning to have an impact, and various trading platforms are tightening their KYC processes, most notably Bitstamp. 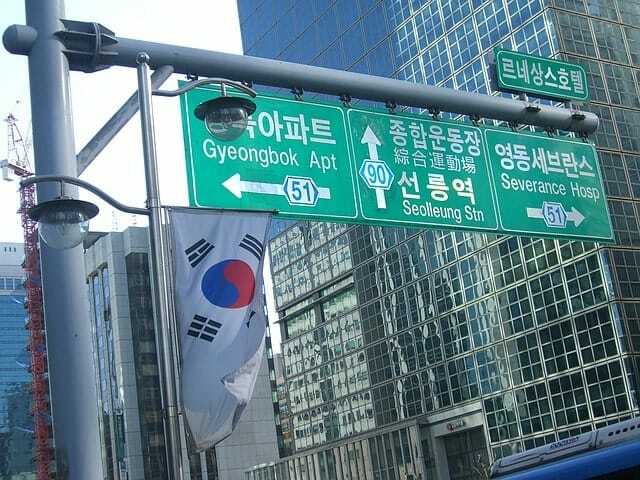 The South Korean tax authorities have begun investigating two of the country's largest crypto exchanges - Bithumb and Coinone - on suspicion of tax evasion. In addition, Coinone is also being investigated by the local police on suspicion of providing illegal gambling services, which would be in direct disregard with previous announcements and warnings made by the government over the past few weeks, which relate, among other things to tougher regulations regarding crypto. The Ministry of Finance announced that all users must convert their anonymous accounts into identified ones that are linked to their real bank account. Users who do not do so, within a period of one month, will be fined. In light of the authorities' announcements over the past few weeks, the Justice Minister issued a statement this week announcing his intention to ban the trading of crypto coins in the country. As a result, several media outlets reported that South Korea has begun prohibiting crypto trading. However, the South Korean government issued an official statement stating that there is no prohibition on trading crypto in the country, and that such a prohibition is unlikely to be enacted in the long run. It seems that the Justice Minister issued an independent announcement, and that his statement was not approved by the government. Following the Justice Minister's announcement, more than 120,000 citizens signed a petition against the proposal to ban trading of crypto currencies in the country. Furthermore, about 30,000 signed a petition calling on the Minister of Finance and the Minister of Justice to resign. In Japan: Line, the nation's leading instant messaging mobile app with over 168 million monthly users, is considering adding crypto payments through its payment application. 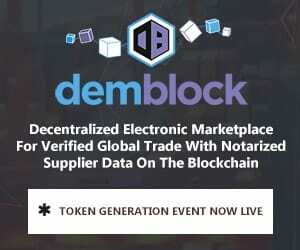 The DMM Group, which works in e-commerce, has launched a new exchange, which, as of now, supports 7 crypto currencies. 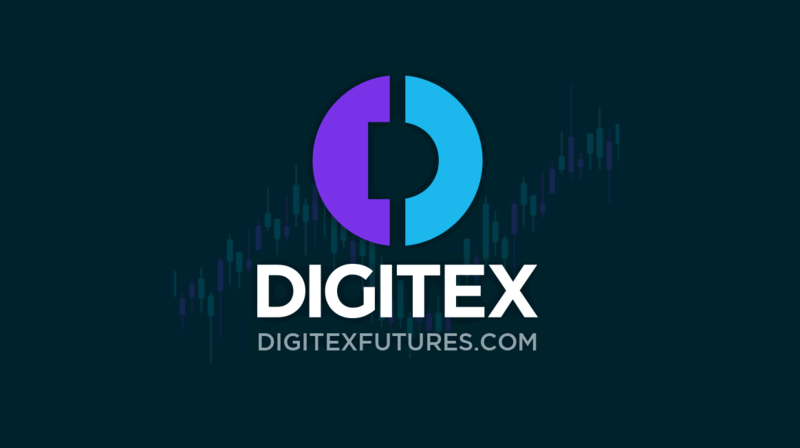 The group intends to establish another exchange during this spring, which will be designed for novice traders. Indonesia - The country's central bank has issued a severe warning about trading, buying or selling crypto currencies. 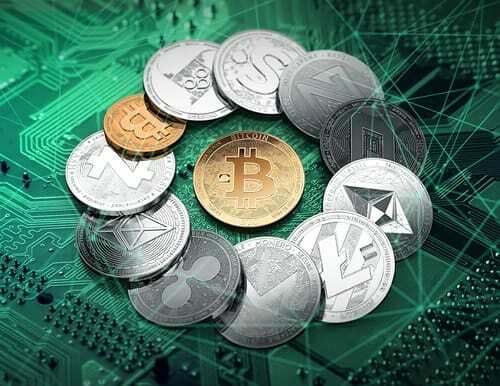 This warning follows a previous warning issued by the Bank in September that it would not accept crypto coins as a method of payment. 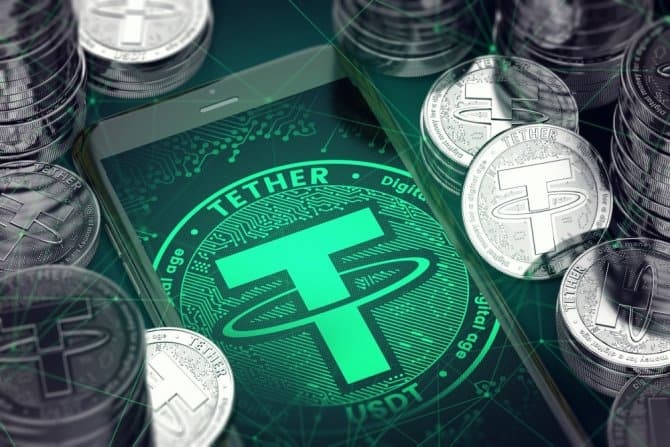 The previous warning also led to the closure of two major trading platforms in TokoBitcoin and BitBayar. Another source from East Asia, the Lunu bank account operating from Malaysia, was frozen by the country's tax authorities, and Lunu reported that they are not concerned about the possibility of client's capital disappearing in the exchange, and that it is in discussions with the bank and the authorities to resolve the situation. It seems that they are required to strengthen the KYC processes of its Malaysian customers. China - Bitmain, the Chinese mining company, is in the process of setting up a new subsidiary in Switzerland, Bitmain Switzerland. This move follows a direct increase in supervision by the authorities, mainly on the electricity consumption of the country's mining farms. Bitmain is not alone, and alongside other mining companies, it plans to open centers in Quebec, Canada. This is due to the low cost of electricity and cold weather in the area. 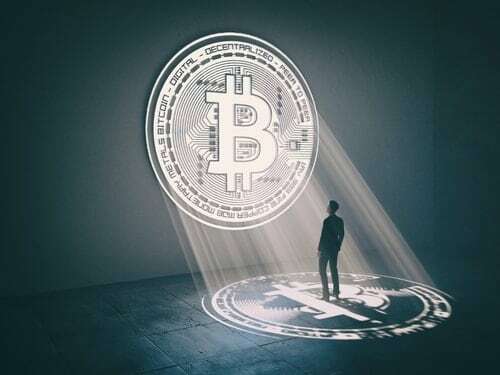 Additionally, it seems that authorities in the country are continuing the fight against crypto trading, with an emphasis on online trading platforms. 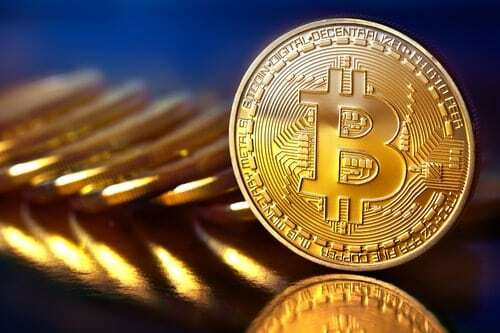 A senior official of the Chinese Central Bank called on state authorities to ban trading in crypto currencies in the country, as well as to restrict individuals or businesses to offer services related to trading in crypto this extends to things such as virtual wallet operations. Pan Gongsheng, Vice President of the bank, said the authorities should continue to exert heavy pressure and supervision on the market, and even called to block foreign sites that provide services to Chinese users. 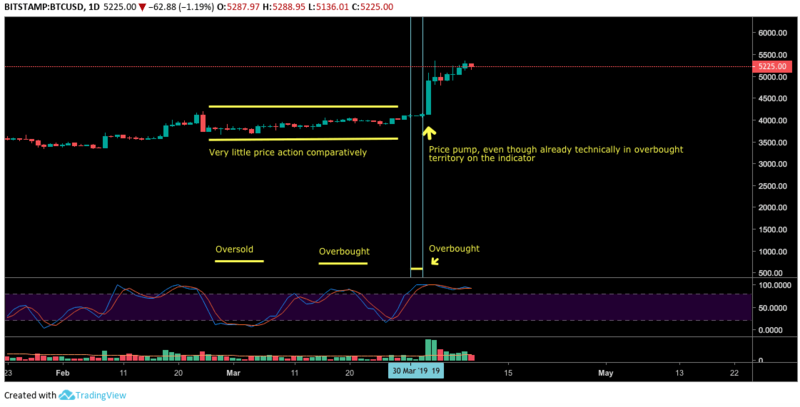 These announcements, together with announcements from South Korean authorities, led to a sharp drop in the price of the bitcoin, which reached its lowest level since early December, below $ 11,500. In Australia, similar to the South Korean authorities' approach, the country has set up a special team to identify and collect information about all crypto-transactions in the country for the sake of tax purposes. 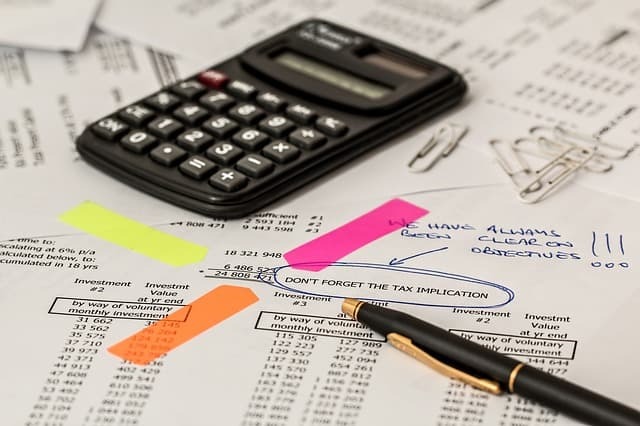 There seems to be a new trend in the world of increasing supervision on crypto traders due to fear of tax evasion. Similar actions can be seen in India and South Africa. Russia - The Ministry of Finance has begun to draft a bill that will legitimize the crypto trading in certain government-approved exchanges. This is in accordance with Putin's statement that the crypto market should be fully regulated in Russia. By doing this, it eliminates the inherent risks arising from trading in those currencies, and prevents any possibility of using those currencies for money laundering, tax evasion or terrorist financing. Because of Putin's statements, Russia's largest exchange, Moscow Exchange, announced its intention to allow trading in financial instruments derived from the value of the Bitcoin (or other crypto currencies) and appears to be backed by the Minister of Economics. Yet at this stage the country’s central bank is strongly opposed to this option. In Belarus, the President signed an order earlier this month that for the next five years crypto trading, conversion between crypto and FIAT currencies, as well as ICOs will all be legal in the country, as well as exemption from any taxes (including capital gains). Expected to take place in March, he hopes this will attract new investors and entrepreneurs into his country. More from Europe, the French Economy minister, has strongly opposed the use of Bitcoin and cryptos in the country this week. This is mainly due to fear of damaging the country's economic stability. He stated that this fear stems from various concerns of lack of disclosure and speculation in the crypto market. More from Europe: Sweden is considering issuing a national crypto currency, the e-krona. Sweden is among the countries with the lowest rate of cash use in the world, which may allow easy acceptance into the crypto-world. Next…the United States, at this stage, there are no federal regulations of regarding crypto markets. 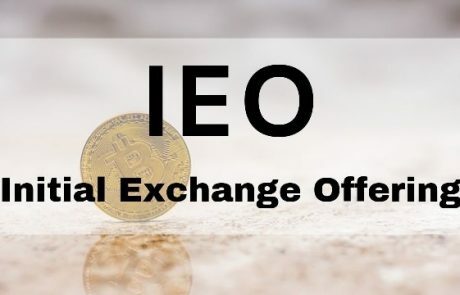 Currently, the IRS and the Federal Tax Collection Authority’s approach is to recognize crypto as assets liable for capital gains. In coming February, a conference is scheduled, which will include senior SEC and CFTC officials, which main objective is to regulate the crypto market, so that in the coming months it can also be regulated on the federal level. More news from the US: the US Securities and Exchange Commission ordered the ETF to freeze all ETF funds related to cryptocurrencies. This is caused by implications tying the ETF to volatile and illiquid assets. Additionally, on the political front, a new bill in Arizona proposes allowing citizens to pay taxes using crypto coins. KFC in Canada, launched a marketing campaign in which it launched a special edition item- the bitcoin bucket. For a limited time, you can pay for food using Bitcoin. Calderon Calvin Ayre, founder of Bodog, announced his plan to set up a new venture to deal with the Bitcoin cash mines. In addition, MoneyGram International Inc. announced the launch of a new pilot program to test the use of the XRP (Ripple) currency. 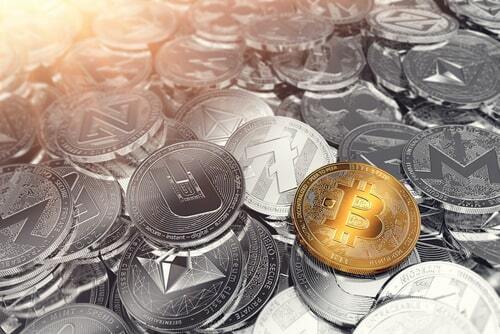 Bitcoin has reached a significant milestone - 80% of the total Bitcoin has been sold, about 16.8 million Bitcoin. Bitlum, launched an alpha version of ZigZag, an exchange based on the lightning network. In this following post there is everything you need to know about the Lighting network in one place. The organizers of the North American Bitcoin Conference (TNABC) stopped allowing payments for tickets to the conference in Bitcoin, apparently due to network congestion and high fees. 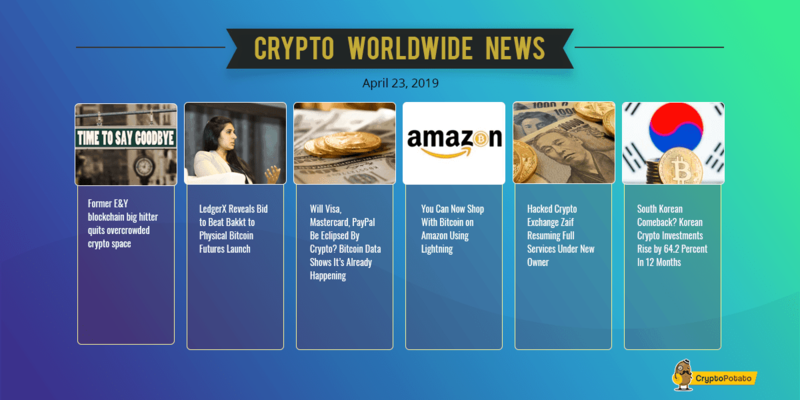 This news generated buzz on the social networks, and a wave of tweets, most notably the economics professor Paul Krugman, who tweeted to his four million followers - "Bitcoin conference will not accept Bitcoin because it's too clunky and expensive. yay ". 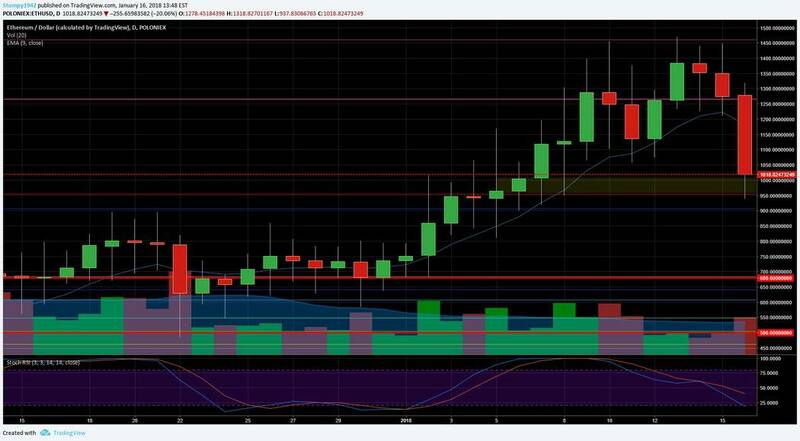 There has been support around 14K but it did not really hold, and it seems that in the near future, this area will become resistance. 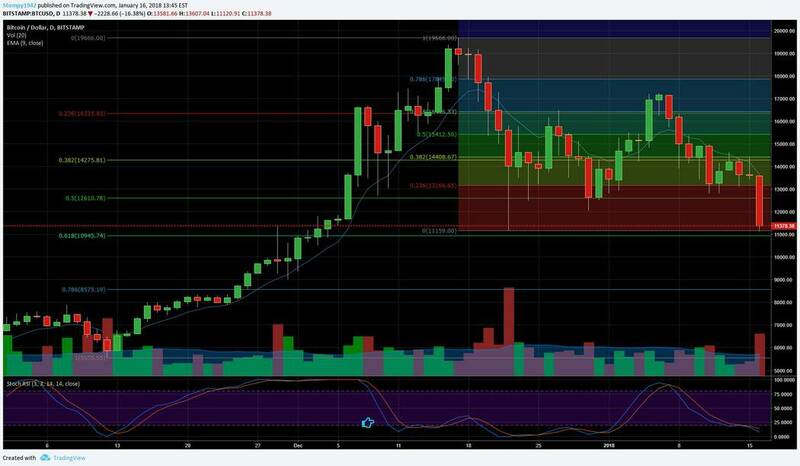 The market will become bullish if we can reach the 17K mark or above, however, until we see these price levels, the market feels a bit scary. Fear is reflected in the sharp decline during the past 24 hours. The price was dropping by almost $2000. Stabilization around $13,500 will be a very positive relief. Against the dollar: after a record high of $1450 last week, a sharp correction in the last hour led the price to trade at $ 1000 with subsidies around $ 900. The support level is marked in yellow. Against Bitcoin: the rise from the resistance areas were too rapid. 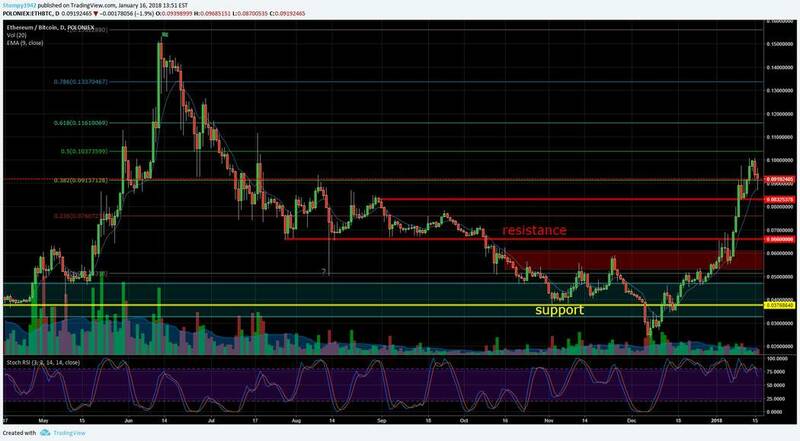 After this run, support is around 0.083BTC and resistance in 0.1BTC areas. Against the dollar, the rate would have looked fairly stable, but the sharp declines did not skip BCash, which fell from it’s support level around $2,400 to a price level of $1,800. It is currently traded at these levels. The support areas are marked in yellow are still from the previous update. Against Bitcoin - the price went down a little this week, but looks positive from last week. Traded around 0.16BTC with support in the 0.14BTC areas and the resistance of around 0.2BTC remains intact. Against the dollar after a record of $370, (the exchange rate is very volatile) it dropped close to 50%. Currently traded around $190, with support around $ 80, and resistance around $260. We hope to see a bit of a rally on the way up. Against Bitcoin - the price is relatively stable. Strong support around 0.014BTC, where demand for LTC is high. However, it appears that the positive trend has stopped. 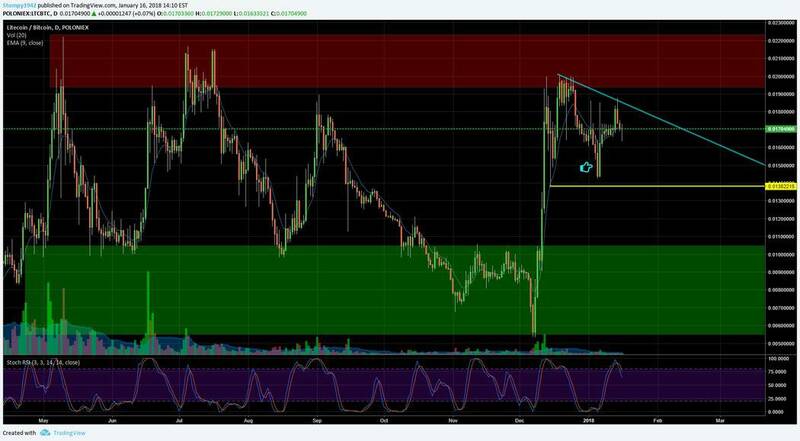 Resistance lies around 0.0185BTC. Against the dollar : The coin is in a positive trend, reaching highs of $11, but a sharp correction brought the price to levels of $ 6. Where support lies. 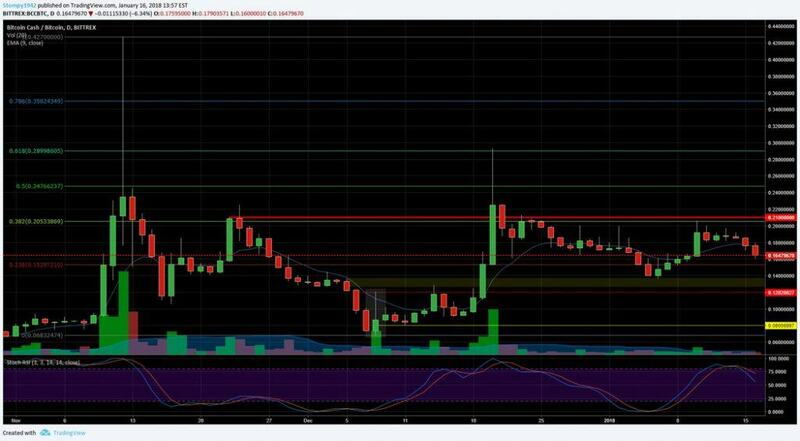 Resistance is in the $11 zones. 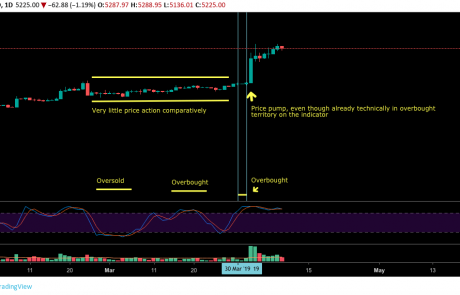 Against Bitcoin: we see a continuous decline since it’s price discovery. 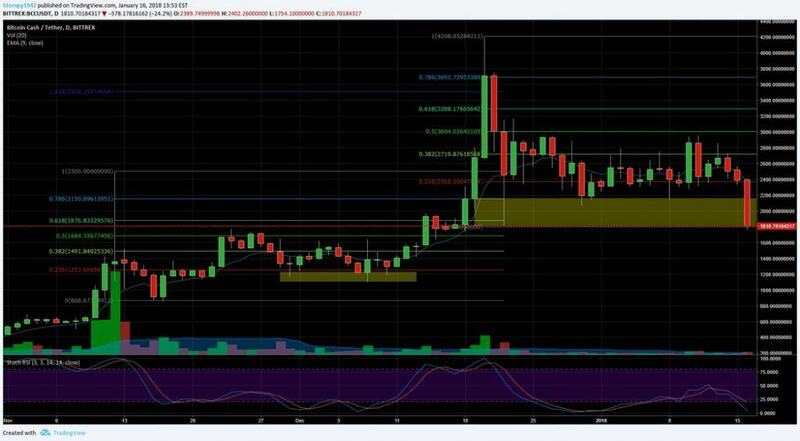 It seems that a floor of support was discovered in December and since then the price has been rising. Excessive enthusiasm around the coin seems to have resulted in too rapid of a rise inits price. 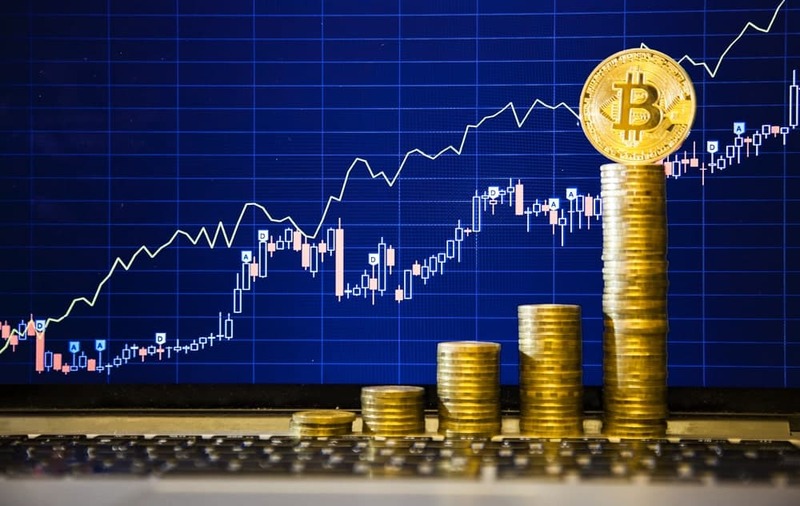 However, the marked usually shows that after the sharp rise, the behavior seems quite healthy, and the growth of the coin’s volume is also evidence for that. 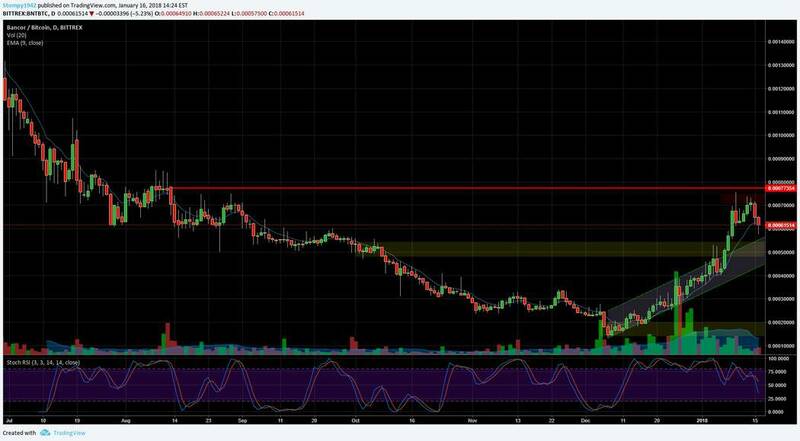 Resistance is around 0.00075BTC, and support for this range in the 0.0005BTC areas.